Fun Days are run by HVS Staff and include sports stations from 9am-12pm and 1pm-4pm. Before care and after care include movies, board games, etc. Electronics are allowed before and after camp and from 12:30pm-1pm at lunch. All electronics including phones, tablets, ipods, etc, along with any cash must be turned into the office and checked out during appropriate times. Drop off and pick up around your schedule! 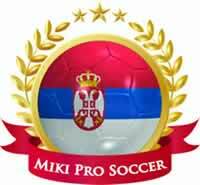 Geared for more advanced players, Miki’s Pro Soccer Camp combines the best training techniques from around the world. All camps are directed by Miki Djerisilo and other high level coaches and former professional soccer players. Miki’s proven approach allows players of all ages to take their game to the next level. Players are challenged to focus on details of the game and given drills they can work on at home to continually improve their game. The camp focuses on four areas of player development: Speed & Agility, Ball Control, Shooting, and Passing. This clinic is designed for players with beginning and/or intermediate skills. We will offer instruction and training in the high-performance skills and techniques of passing, serve receive, digging, serving and setting. Emphasis is placed on developing court movement, ball control, court awareness and form. Players will receive ample amount of repetition in the 2 hours session and be coached by our Elite and National level staff. This clinic is designed for players with beginning and/or intermediate skills. We will offer instruction and training in the high-performance skills and techniques of attacking, 3rd ball contact, approach, transition, and execution. We will work to develop players ability to better the set, find ways to score, control out of system balls and reach their full potential as an attacker. Players will receive ample amount of repetition in the 2 hours session and be coached by our Elite and National level staff.